The steel structure workshop has the advantages of light overall, saving foundation, less material consumption, low cost, short construction period, large span, safe and reliable, beautiful appearance and stable structure. Steel structure workshops are widely used in large-span industrial plants, warehouses, cold storage, high-rise buildings, office buildings, multi-storey parking lots and residential buildings. However, steel structure workshops also have certain construction difficulties. This is the main reason why we should choose a good steel structure manufacturer when we are building steel structure plants. (1) Complexity. The complexity of the construction quality problems of steel structure engineering projects is mainly manifested in the many factors that cause quality problems, and the causes of quality problems are also complicated. Even the quality problems of the same nature are sometimes different, so the analysis and judgment of quality problems And processing adds complexity. For example, welding cracks can occur either in the weld metal or in the thermal influence of the base metal, either on the weld surface or inside the weld; the crack direction can be parallel to the weld bead or vertical In the weld bead, the crack may be either a cold crack or a hot crack; the cause may also be improper selection of the welding material and improper soldering or post-heating. (2) Severity. The seriousness of the construction quality problems of steel structure engineering projects is as follows: in general, the construction is affected smoothly, resulting in delays in construction period, increased costs, serious, collapse of buildings, personal injury and death, property damage, and adverse social impact. (3) Variability. 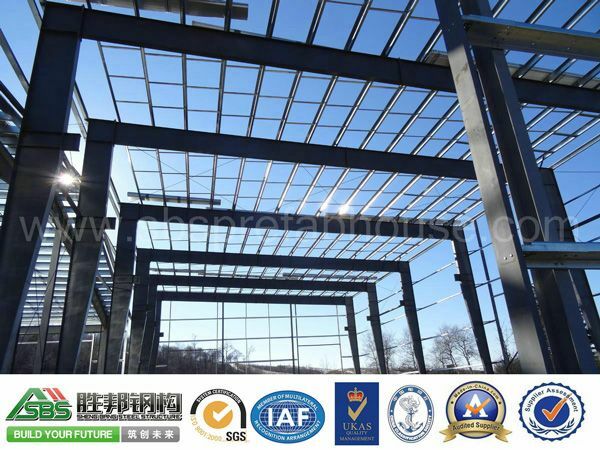 The quality problems of steel structure engineering construction will continue to evolve and change with the changes of the external environment and the extension of time, and the quality defects will gradually manifest. For example, the weld of a steel member causes cracks in the weld without cracks due to the change in stress: delayed cracks can occur due to the action of hydrogen in the weld after welding. Another example is that if the component is subjected to overload for a long time, the steel member is subjected to bending deformation of the lower arch, which causes a hidden danger. (4)Frequent. Since modern buildings in China are mainly made of concrete structures, the technical personnel of the construction personnel who are engaged in construction and construction are relatively unfamiliar with the production and construction techniques of steel structures. The specific construction workers mainly based on migrant workers do not understand the scientific construction methods of steel structure engineering. Causes accidents during construction to occur frequently.